How to boost your rankings and get found for your target keyword. Your SEO ranking influences your website’s position in the search engines ranks. 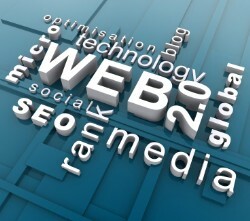 There are many factors that determine whether a website gets better ranking. Usually it’s the content relevance or quality and quantity of backlinks. Is your SEO concern how to increase optimization and rank higher? First, write relevant content. Identify one target keyword and use it frequently, prioritising headers and page titles for optimization. Is your content optimised to get ranked by search engines? If you’re not sure, take advantage of our free checker tool SEO Page Optimizer? We offer one free analysis per website page. Try SEO Page Optimizer here for free and fill out the form. Secondly, keep content updated. It shows relevancy. You'll rank higher. Thirdly, make your site link-worthy. Publish useful content to attract inbound links and rank higher. To speed up the ranking process, you can make use of our Keyboost optimisation tool. We offer one free optimization trial per customer if your webpage has a top 100 position in Googlefor a keyword. Rank higher within one month. Do you want to know the mechanics behind better optimisation and rankings? Sign up and get the benefit of our free educational newsletters. Try out Keyboost now and fill in our form here. Need tailored advice on search engine optimisation? Get in touch for an informal consultation on how to optimise your content better and improve your SEO rankings. Email us at info@seopageoptimizer.co.uk or call directly at +44 3308 084797.